Agronomist, Dr Tim Lodge of Agrostis Turf Consultancy Ltd, reveals how to turn stable waste into fertiliser. A horse can produce 20-25kg of manure a day. Disregarding winter droppings, this equates to an almighty four tonnes a year. This tonnage, plus waste bedding, must inevitably be disposed of, and most facilities pay someone to remove it. It makes sense, therefore, to compost the waste and use the material. Though home-made compost may not replace fertiliser requirements for the whole year, it could make substantial savings - slow-release fertiliser, which does the same job as compost, can cost over £30 a bag. How does manure become compost? Most of us have some idea of what a muck heap is. But to ensure the end product is suitable to apply to grounds or grazing, you need to understand how composting works. Composting is the conversion of complex organic material (the remains of the grass, hay or haylage in horse manure) into nutrient-rich, soil-like material. Decomposition is undertaken by microbes that are naturally present in the environment, but they need the right conditions to function properly. Their first need is oxygen, which lets them "breathe" while working. If they can't, other microbes will work anaerobically (without oxygen) and produce undesirable products that will at best make the compost smelly and at worst make it toxic. Therefore air must circulate among the composting materials. The beneficial microbes also need the right amount of moisture. Too wet and there won't be enough air, too dry and the microbes simply won't function. Carbon and nitrogen, which provide the microbes' food, must be present in the right proportions. The bulk of the heap should be carbon (C), with enough nitrogen (N) to fuel decomposition. The optimum ratio of C:N is between 20:1 and 35:1. Horse manure alone has close to the optimum proportions, while the ratio for stable waste - the mix of droppings, urine and bedding - ranges from 25:1 to 50:1, straddling this optimum. However, C:N ratios can be higher if there's a high content of bedding: straw alone is around 80:1 and wood shavings 600:1. 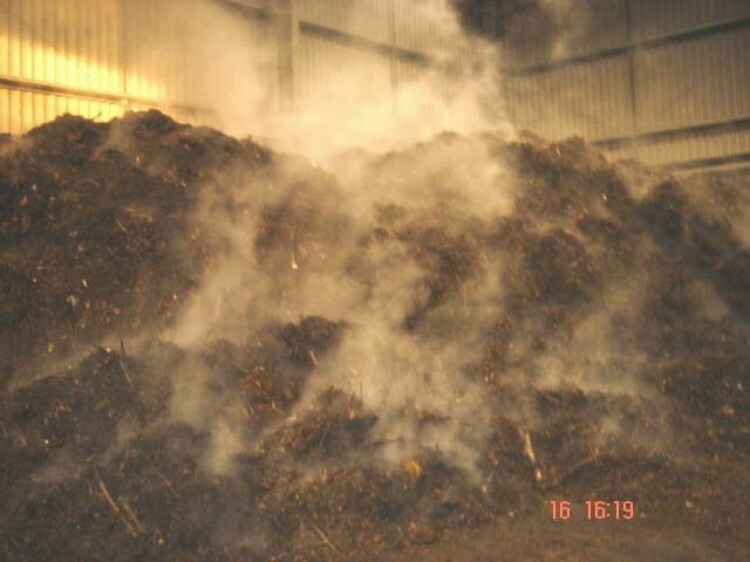 If lots of shavings go on the heap, it may need extra nitrogen to reach the optimum ratio. You could add grass clippings (15:1) or a nitrogen fertiliser. Conversely a high-nitrogen compost - resulting from manure and grass clippings, but very little bedding - may require extra carbon. You could add this in the form of extra straw, shavings or shredded paper (around 700:1), which also improves air circulation within the heap. 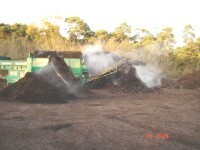 An efficient composting facility consists of a series of bays, which allow material to be transferred from one to another using a tractor-mounted front-loader. They should be at least 50 m from water courses. The process should not be very smelly but you might build it downwind of stables and other buildings. Similarly, it need not be unsightly, but screening might be worthwhile. The bays need an elevated concrete or crushed-stone base, with a back wall for easy unloading, and timber walls to separate them. The first bay, which serves as the staging area for raw material, should be closest to the stables so waste can be unloaded quickly. The others, four to six in total, should be adjacent. It helps to have a spray-nozzle hose for irrigation, and it should be possible to cover the bays with tarpaulins. Size is determined by the number of horses and the frequency with which the contents of each bay can be transferred to those adjacent. Ideally this should be every two to three weeks. The volume of the first bay is the volume of waste material produced each day times the transfer frequency (in days), multiplied by 1.5 (to allow 50 per cent extra capacity should numbers of horses or the period between transfers increase). A horse produces around 68 litres of manure, urine and dirty bedding per day. For 10 horses, with transfer every 14 days, the first bay should be 14.28 cubic metres. 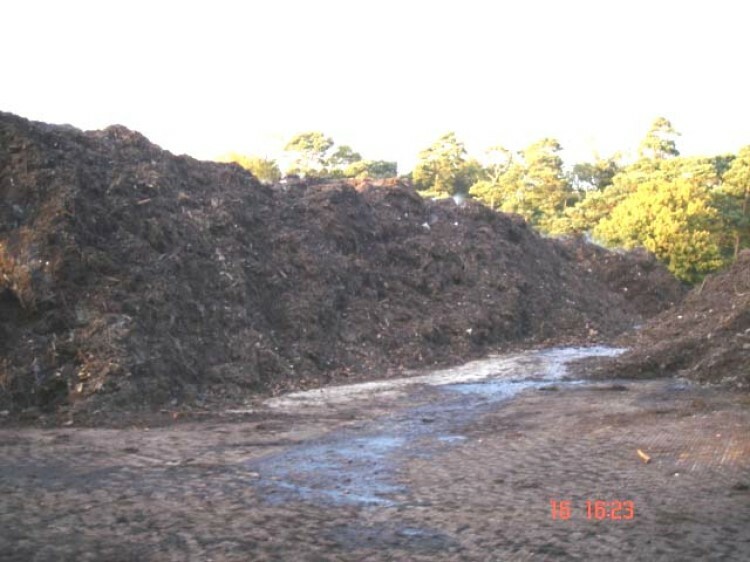 Compost piles must be at least a metre high, so at 1.5 metres in height this gives a floor space of 9.5m2, or a square with sides of 3.1 metres. The volume of material will diminish during composting so subsequent bays may be progressively smaller, by as much as half for the final bay. Mature compost can form in as little as two weeks or as long as six months, depending upon the intensity with which it is aerated. 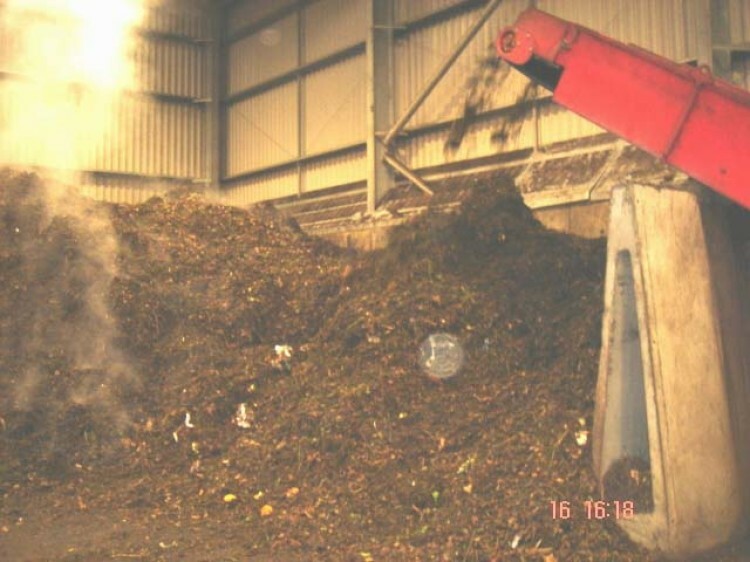 The more frequent the transfer of material from one bay to the next - an action that provides the aeration the microbes need - the quicker the production of compost. 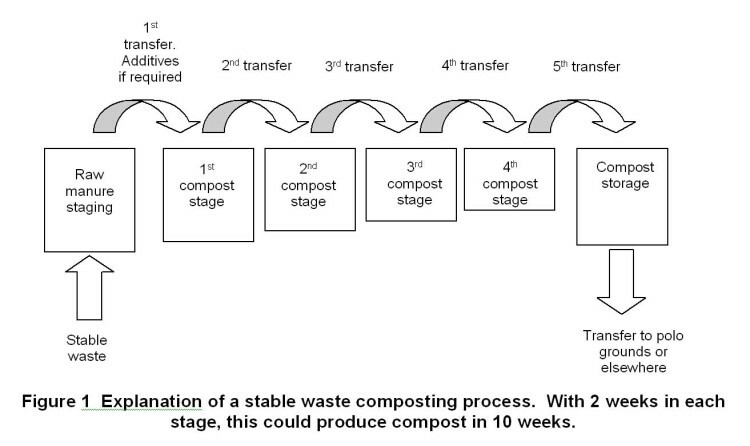 Fortnightly transfer could produce compost in 10 weeks (see diagram). But the rate will ultimately be dictated by the weather, time of year, the nature of bedding material and the number of horses. During the first transfer, add any extras you suspect may be required to achieve the right C:N ratio, according to your bedding type and the amount you get through. The material's moisture level should be 50 to 60 per cent, giving it the consistency of a well-wrung sponge. If it's too wet, let it dry, or cover it if it's raining. If it's too dry sprinkle it periodically with a hose. When it's cold, composting is slower, because the microbes don't start the process so effectively. However, once they find their stride, the temperature of the heap rises to 54-60C. Most equine parasites die after about 30 minutes at these temperatures, and all but the hardiest of weed seeds will be eliminated. For your first batches of compost, keep a record of temperature during the process. Insert a long-stemmed thermometer at five locations within each pile every day for the week after the first transfer. Peak values should be 55 to 60 C. The temperature should return to near ambient immediately after transfer but rise to their maxima 48 hours later, declining thereafter. When mature, the compost should remain at near ambient temperature 48 hours after its last transfer. During the first few batches you could send a sample to a laboratory for measurement of respirometry (various companies, including Agrostis, offer this service). This establishes the extent of microbial activity: if oxygen consumption is below a certain threshold the compost is mature. 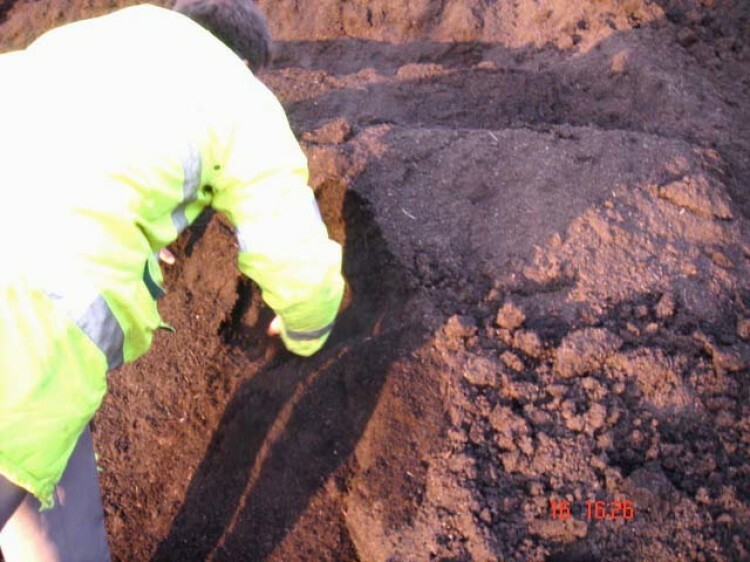 Finished compost is brown to dark brown in colour, free of pathogens and weed seeds, has a crumbly texture and earthy smell, contains 30-50 per cent organic matter, has a C:N ratio of less than 25:1 and a pH of 5.0-8.0. The volume will be around half that of the original materials used in its formation. As a source of nutrient, compost is the equivalent of a fertiliser of N:P:K analysis 0.75: 0.6: 2.0. Relatively speaking this is not a great deal; some slow release fertilisers contain over 30 % nitrogen for example. Compare that to the 0.75 % nitrogen in compost. Good quality compost may be applied in substantial quantities however, safe in the knowledge that scorching is unlikely to occur. The limiting factor is simply the bulk handling of the material. With the right equipment it may be possible to distribute dry granular compost at a rate of, say, 2 kg per square metre. This would be absorbed by a grass sward relatively easily if it were not mown closer than say 15 mm (like a polo ground). Gallops or racetracks at 50 to 100 mm mowing height will have no difficulty accommodating this. Compare this rate to the 35 g/m2 one might apply a granular fertiliser at. Applying compost at a rate of 2000 g/m2 would deliver nitrogen at around 15 g/m2. This, under most circumstances, would be more than enough to sustain growth of grass for an entire year on a surface that wasn't itself used for feeding livestock and from which the clippings were not removed during mowing. Of course, the nitrogen will take time to come out of the compost, a process also facilitated by microbial action. This is why compost acts as a sort of slow release fertiliser in itself. Its fertilising properties should therefore produce a steady rise rather than a rapid flush of growth that can be difficult to stay on top of, particularly in late spring. Compost can also improve water and nutrient retention in sandy soils, and make heavy clay soils more manageable. It does this largely because of the organic material, the carbon, which it introduces. On sandy soils the organic material provides a holding facility for nutrients so that the grass can take these up continuously over a longer period. It will also increase the water holding capacity of a sandy soil. On clay soils, increasing the organic content can improve soil structure, making this more open and less prone to compaction. On gallops and racecourses for example, a hard 'going' could be made softer through the sustained use of compost. Some things can go wrong with compost so it is worth while being aware of these. Salt: Manure commonly contains 4-5 per cent soluble salts and this may run as high as 10 per cent. Much of this is diminished through composting, but salt is potentially toxic to young grass seedlings. Normally, irrigation and rainwater leach well-drained soils sufficiently to prevent damaging salt accumulations. But take care with poorly drained soils, soils with existing salinity problems, or unusually high compost application rates, especially when concentrated near young plants. 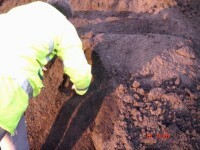 Having your compost tested can determine its salt content. Immature compost: If composting has not been completed in the bays, it will continue on the ground after spreading. This robs the soil and grass of nitrogen, which the microbes need to operate. An application of immature compost can therefore lead to a reduction in grass growth and possibly the development of nitrogen deficiency. This has happened at one polo club, where an additional fertiliser was needed to compensate. Acidity: Repeated applications of compost can lead to greater soil acidity. This is not always undesirable - it can reduce worm activity, for example - but seed germination may be adversely affected and on sandy soils the pH may fall to levels that limit the uptake by the grass of nutrients. It takes several heavy applications of acidic compost for this to happen, however. Again, testing of the soil and compost pH, and appropriate adjustment, should prevent problems. Residual pesticides: It is possible for some pesticides to pass through the composting process with their function unimpaired. This has been the case for example with some forms of weed killers. If compost has been prepared using grass clippings for example taken from grass that had recently been treated with such chemicals, the effects could carry over to the surface on which the matured compost was subsequently spread. To avoid this, one simply has to be aware of the recent management history of the vegetative materials that go into the compost, as any good land manager would be. Dr Lodge of Agrostis Turf Consultancy Ltd is agronomist to the Hurlingham Polo Association, advising on polo ground construction, maintenance and performance, and is a leading consultant in the sports turf industry.